You are faced with the responsibility of meeting safety and security guidelines every day, not just for the animals you house, but the personnel you work with. Those responsibilities extend to the equipment you are using that needs to be impervious to contamination and highly durable. Caster Technology is committed to offer an extensive line of casters that are guaranteed to meet your requirements and perform under the stringent sanitary and are reliable for testing and housing. 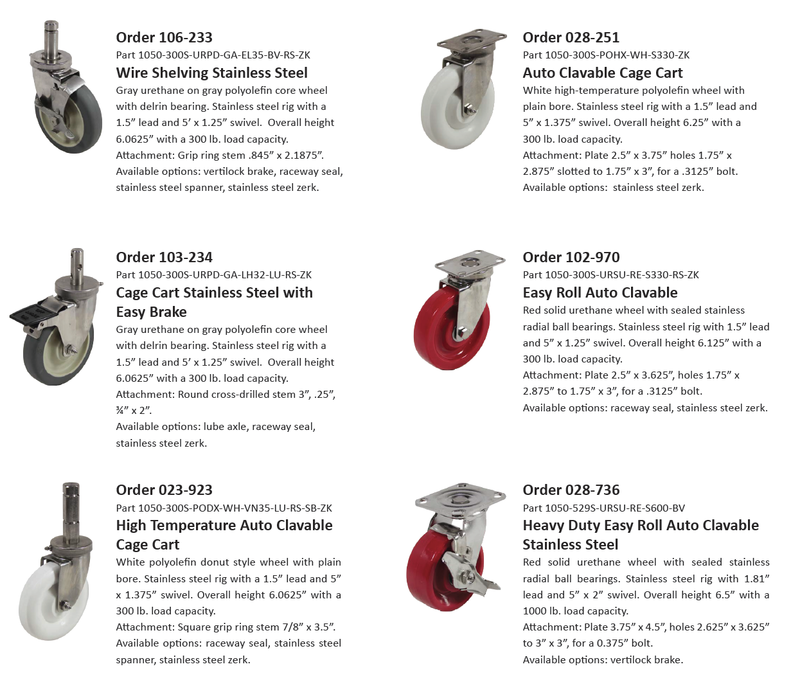 Contact us today for any and all of your caster needs!